On top of my desk is a pile of CD's. I purchased none of them. Most are overflow from the to-review bin at the sadly defunct Bananafish Magazine. On the one hand, I know no one cares and realize that nothing I can write will change anything for better or worse. On the other, while the last thing I need in my life is a cat, only a monster wouldn't pick up a poor lost kitten, even if the tags on the rhinestone collar say “Okka Disk.” And that my friends is the mental illness of free-jazz criticism; feeling obliged to interpret for others those messages in the bottles that come your way, despite several thousand copies of the same message having been sent out, received, reviewed and put in the cut out bin a decade earlier. The mental illness reveals itself further when it manifests in “corporate welfare”--when the narcissism gets to the roiling point and an “obligation” is felt to the already established, the Brahmins and their handlers. 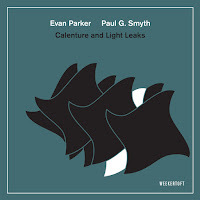 Because really, what else is there to be said about Evan Parker? 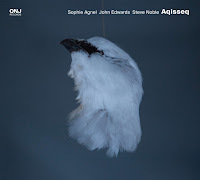 Once and for all: if you haven't heard Evan Parker, by all means do. 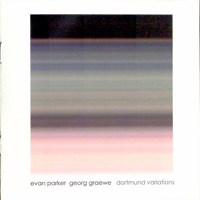 Dortmund Variations by Evan Parker and Georg Gräwe is a great place to start. If you have, then chances are you formed your opinion quickly, decisively and there isn't a thing I could say to make that different. On top of the pile of CD's I've been meaning to lavish with attention is Unity Variations by Evan Parker and Georg Grawe. In the liner notes, Parker mentions his first meeting with Gräwe in 1991. 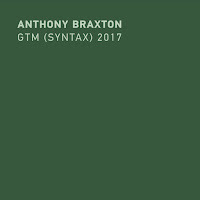 Unity Variations is recorded in 1998, Dortmund Variations, in 2012. 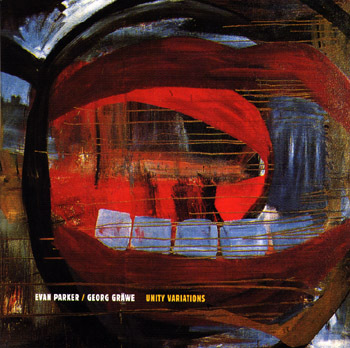 Though I don't have the recording from 1991, Unity Variations and Dortmund Variations provides all we need for an intra-artist, horizontal analysis—a look at the effects of time on the Parker Gräwe partnership. Would you be disappointed if I told you the two recordings are a lot alike? 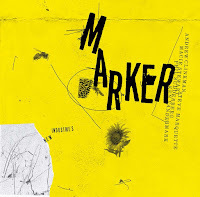 Somewhere or another I opined that Mr. Parker's excellence is getting tedious, and here is no exception. Though I don't know Gräwe's output like I am getting to know Parker, it's safe to say that Gräwe has also flatlined on excellent as well. This excellence from 1999, that excellence from 2012...at times its hard to tell them apart. 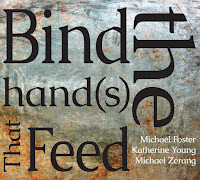 If anything, Parker and Gräwe have become more lithe, even less constrained, even freer. Unity Variations is a live recording, Dortmund Variations a studio date. Here's an instance where the managed environment of the studio trumps the “energy” of live performance. Both are a glorious pan-tonal spray of notes, covering the entire range of their instruments. Gräwe reveals no small debt to Cecil Taylor without ever availing himself of the fist or the forearm on the keyboard; a facet that is missed but not mourned in his playing. Parker similarly favors sounds both small and luxurious without ever going into full shriek. Though both are complete listening experiences unto themselves, those of you in the rhythm section for whom the name Jamey Aebersold means something might want to pick up both of these recordings for your play along pleasure. The sounds and the strategies in both recordings are to “This Music” what rhythm changes are to its antecedent.